Basic model using the reference picture. 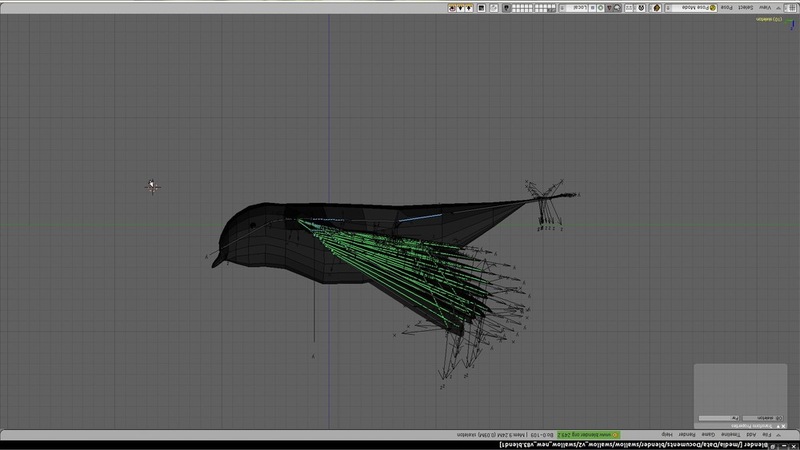 Each feather is modeled as a separate softbody, so it will bend according to air friction when moved. Bones which are used to pose and animate the whole model. 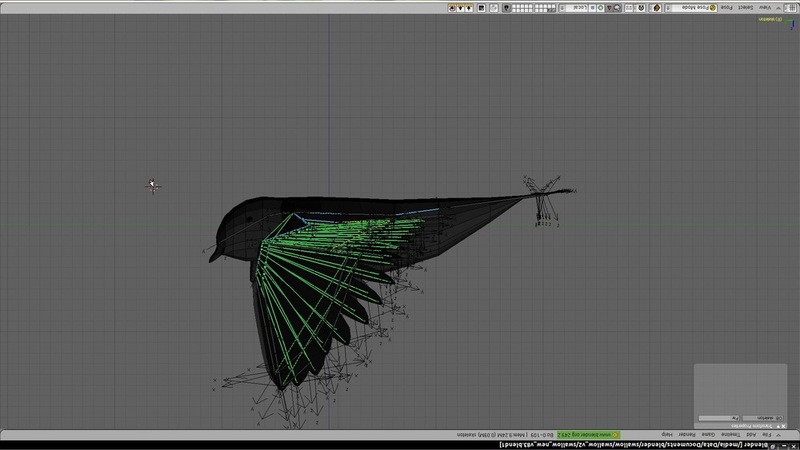 Predefined rules of interaction between the bones an the feathers make the feathers to fold automatically according on the orientation of the humerus and radius bone. 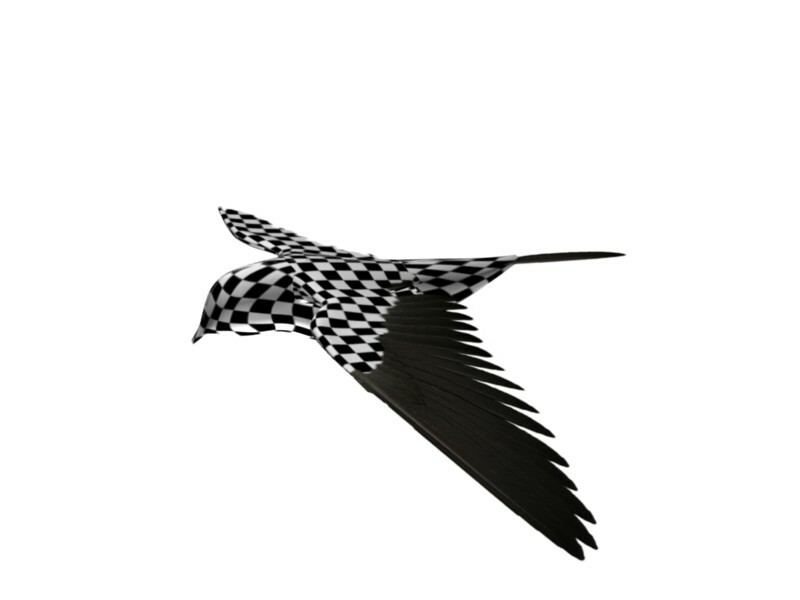 After texture mapping (chessboard texture to check for distortion free distribution). 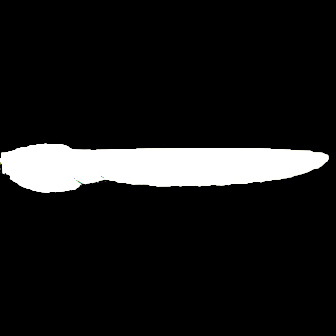 Albedo texture for primary wing feather. 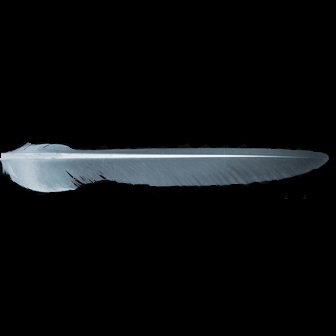 Normal texture for primary wing feather, calculated using the nvidia normal plugin for photoshop. 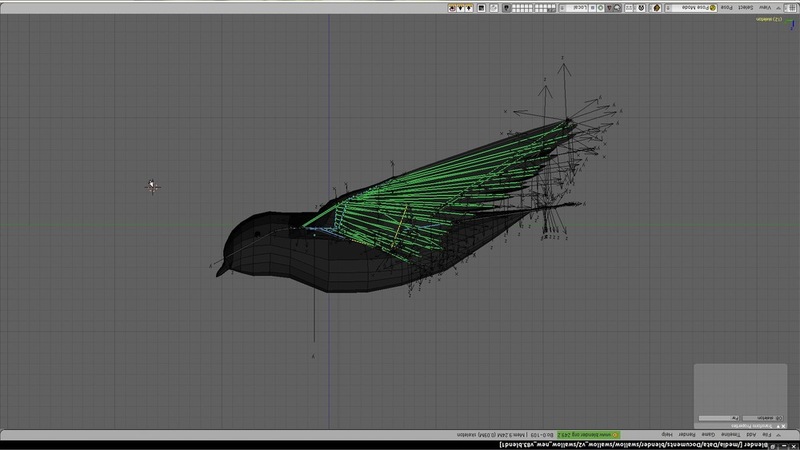 Alpha Texture for primary wing feather, in order to reduce polynome count. 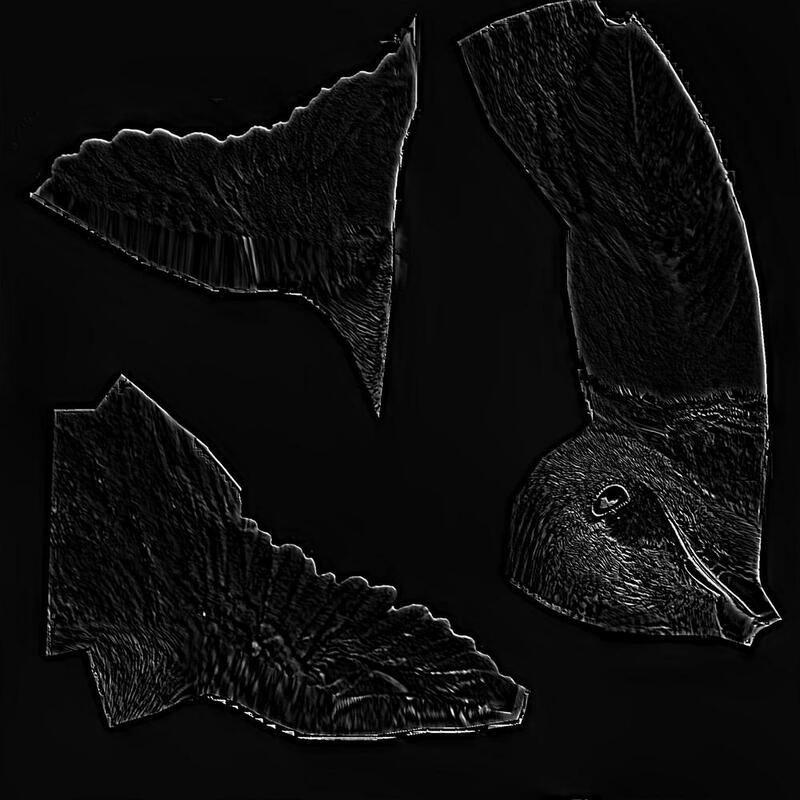 Applied texture to primary and secondary wing feathers (albedo, normal, specular and alpha). Albedo texture of torso. calulated using camera-projection in blender from the two reference pictures, plus tons of retouching and postprocessing. Normal texture of torso. using the nvidia normal plugin for photoshop. Specular texture of torso, using Photoshop. Example of a ipo curve: The Y-Rotation over time of the humerus bone.